Jon Lord will feature in a brand-new, five-part music documentary series on BBC2 investigating what makes the ‘perfect’ rock’n’roll band. The documentary series, Rock’n’Roll Band, narrated by Mark Radcliffe, examines each band-member’s role and finds out what makes them tick. 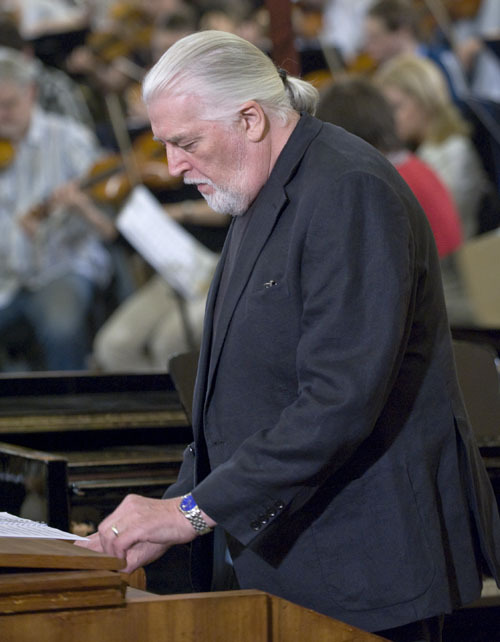 Jon Lord was involved as the expert for the episode on keyboards. Rock’n’Roll Band also promises to embark on a rip-roaring romp through some of the greatest stories in rock’n’roll folklore, says the BBC’s press release. During the series, viewers can can vote for their ultimate rock’n’roll musician on the series’ website. Rock’n’Roll Band culminates in a live studio show where industry experts discuss their favourite rock’n’roll musicians and create the ultimate fantasy band. The first episode goes out on May 1 on BBC2 at 9.40pm. Read the BBC’s press release. I hope he got them to bounce the keyboard around and enjoy the ensuing thunder, rock on!